Don’t you just love Mondays? 🙂 I hope you all had a wonderful weekend!! Mine was nice! I am posting a bunch of miscellaneous pics I took over the weekend. 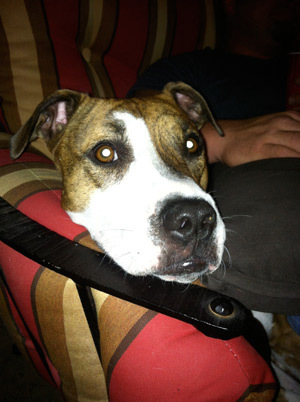 Of course I always take a million pics of my dogs!! 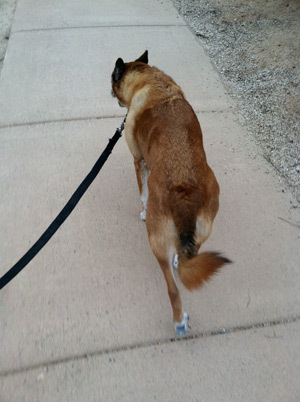 I have been walking them in the mornings…it was only 80 at 6:30, felt pretty nice. It’s pretty awesome seeing all the people in my neighborhood walking their dogs and getting their morning exercise. It smells so good outside…like rain, very fresh. A good way to start the day. 🙂 I had a great day with my family yesterday! I came home and whipped up some homemade doggie treats. If you want the recipe…let me know. My dogs love them and they are super healthy!! I was craving pizza last night so I popped open a bottle of wine and started cooking. For some reason I felt like being in the kitchen yesterday. Ohhh the pizza was so good. 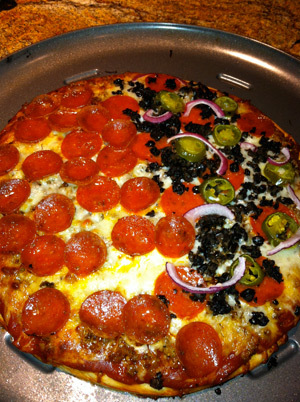 Buzz likes boring pepperoni and I love all the extra goodies on top..olives, onions, jalapenos. Yum! The more the merrier! I worked it off this morning, after my dog walk I walked another hour on my treadmill AND will hit the gym today too. I just heard this morning it’s National Dog Day!! I pretty much celebrate dog day every day!! 🙂 BUT if you are going to get a pet..be sure to adopt and save a life! I am looking forward to my members cam show tonight @7:00pst/10:00est!! See you then!! I hope you are having a fabulous Monday so far! A new shade of polish for my tootsies! 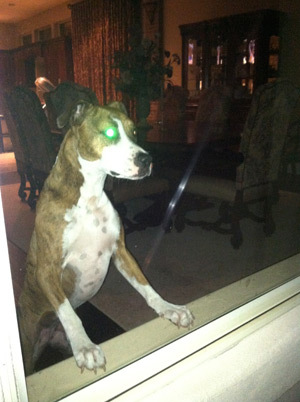 She is very protective of her home! Snuggling on the patio with daddy..such a daddy’s girl. 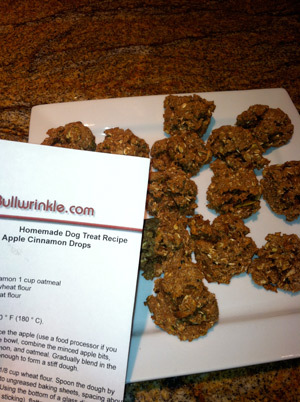 Homemade doggie treats…healthy ones too! Not so healthy homemade pizza! !